Bob Mudler is running unopposed for District 1 in this upcoming general election in Watertown. The position is currently held by Alderwoman Emily McFarland who is running for mayor in this election. Mudler has lived in the city for over 25 years and is married to his wife Jenny. 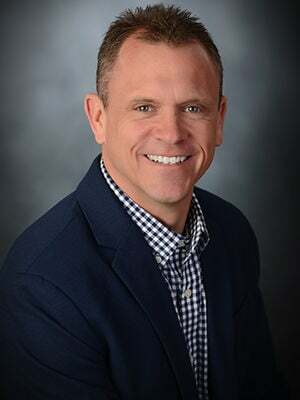 He received a bachelor's degree in communications and is currently the president and chief audit officer at Total Waste Solutions Inc.
Mudler was District 1 alderman for three months in 2013 before resigning. He is co-founder of Yes! Watertown and chairman of Coach J's JamFest. He is also a member of the Watertown Main Street Board of Directors and is a youth basketball coach. "My sole purpose for running for District 1 alderman is because I'm excited about the future of Watertown and want to be a part of positive change. "Aside from the hot topics like downtown redevelopment and the library expansion, which I am both in favor of, I believe it's incredibly important to increase our tax base from a residential and commercial standpoint. Increasing our tax base will keep us from having to increase our taxes. I'm also interested in revisting road repair versus road reconstruction plans and improving communication between city government and our citizens. "Other initiatives include a plan for the old Marathon Oil building and creating a plan for a more usable river. If the Rock River is one of our greatest assets, we should be using it to its fullest potential. "Our dilapidated buildings throughout the city need to be addressed as well, and absentee owners need to be held accountable for their properties. "I'm incredibly concerned about the flooding on the west side of town and doing what I can to support the current initiatives our government is taking to resolve that issue. Speaking of the west side, I'll be interested to continue looking into business park development as a way to attract new commerce to the city. "The bottom line is that I'm a very open-minded person that enjoys diving into topics, especially topics related to the future of Watertown. My goal is to always make well-informed decisions based on factual information -- no different that I run my current business. I am running for District 1 alderman unopposed, but I would still very much appreciate your vote on April 2."